My mother and I have decided to read 50 books by Danish authors: books, we think are must-reads. We are therefore compiling a list of books written by 50 different authors and when we’re done making the list we’ll slowly work our way through them, and whenever we finish one, we’ll discus it over dinner at a restaurant or lunch at a café. I have Peter Hoeg’s The Elephant Keepers Children on my list and though everyone speaks about Miss Smilla’s Feeling for Snow, my favourite of his was the eccentric but compelling The Woman and the Ape. Good luck with that list, in an effort to read more European contemporary literature, I recently subscribed to Peirene Press, so I am at least guaranteed to read a few books outside what is normally promoted in the English speaking book world. I haven’t read The Woman and the Ape. I wasn’t blown away by Smilla but I did take a huge break in the middle of it so I will need to read it again at some point. I loved Borderliners – I thought it was an amazing novel. I will have to chec out Peirene Press – I don’t even know what it is…! May I pose a question?Why Danish novels in particular?Are you Danish or Danish litterature is really that worth reading?? 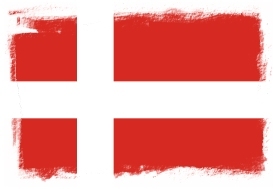 I am Danish 😉 And I think I should know about the cultural heritage of my country. I am not sue Danish literature in general is all that exciting or good but some of it is definitely worth reading – Peter Høeg, Karen Blixen, Hans Christian Andersen and more. Query solved,thank you 🙂 I’ll try some of them,good luck finishing your goal!! Thank you! We’re still in the planning and choosing stages but hopefully we’re ready to start reading by early next year. I am Danish too. Where can I buy or borrow Danish books, either in Danish or translation? Well, I live in Denmark so I have no problem with getting Danish books. But maybe try saxo.com. Hi, I am looking for some English translations of old Danish books. Specifically thrillers. Where can I look for those? Thanks. I live in India. I’m sorry – I don’t know. I don’t think that a lot of older Danish novels have been translated – I think that it’s mostly the newer ones after the Scandinavian crime novels have become so popular. By authors like Jussi Adler-Olsen (whom I don’t like all that much … or not at all really …) Sorry, this isn’t really my genre or area of knowledge.